Marian Quigley, PhD (Monash University), BA (Chisholm Institute of Technology), HDTS (Art & Craft) (Melbourne State College) is an artist, freelance writer and editor and Adjunct Research Fellow, Faculty of Information Technology, Monash University. She has over thirty years of teaching experience in Art, English, Creative Writing, Communications, Media Studies and Information Ethics and has also supervised a number of postgraduate students. 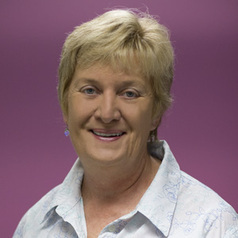 Prior to her retirement, Marian was a senior lecturer, postgraduate coordinator and director of research in the Berwick School of Information Technology, Monash University. Marian’s major research interests are the social effects of information and communication technologies and animation. Her recent publications include: ICT Ethics and Security in the 21st Century: New Developments and Applications (IGI Global, Hershey, PA, USA (in press); Encyclopedia of Information Ethics and Security (IGI Global, Hershey, PA, USA, 2007) and Women Do Animate: Interviews with 10 Australian Women Animators (Insight Publications, Mentone, Australia, 2005). She has also published numerous papers in academic journals and conference proceedings. Marian has also worked as an animation curator, for australianscreen online and was a member of the Advisory Board for The Story of Film, Television and Digital Culture at the Australian Centre for the Moving Image, Melbourne.